RunAway, NYU, Phedora & More! top & jacket: sallie – Kawaii Yankee Sukajan Jacket *new* at Yanfes! New from RunAway, LAZYBONES and More! house: Trompe Loeil – Kenna Cabin *new* at Collabor88. ps Darn Darwin loves cats. Arcade Sept Preview + More! I have a few super cute things to show you that will be coming to The Arcade starting Sept 1! Details below. poses by La Baguette – Kawaii II. Lovey Dovey, LAZYBONES & More! pose by Le Poppycock – Be a Flirt. I feel very much like Dorothy from Wizard of Oz in this outfit! haha Full details below. poses by TOUCHIC – My Tablet 2. photos taken at Crystal Gardens. Looks like I have finally got my computer beaten into submission!! I will be able to blog more often now without wanting to rage quit from all of the lag & crashes. Yes, I know that didn’t make much sense, but still. Just an FYI the Creators Collection Box will be back with a new round on the 20th! Full details below! poses by NAMINOKE – Rose Boquet+Poses *new* and soon to Creators Collection Box. house by Scarlet Creative – Mockingbird Nook *new* at Collabor88. The new items Infiniti has out for The Pose Fair are soo adorable! I especially love this blowing bubbles set which actually comes with a two female pose ball and extra bubbles for rezzing. NEW LAMB HAIR!! I love both of the new releases, I’m wearing baby in these photos. I’m obsessed with braids, like the rest of the world. The bohemian drop waist dress from Leonard is available in a range of colors from light to dark at the spring round of The Seasons Story! You can also find the tattoo’s and shoes there as well. poses and props by Infiniti new at The Pose Fair! It’s finally cold! We have even had our first snow of the winter already! I hate snow but I love cold weather… And speaking of winter!! Legion will be having a GIFTING event before the end of the year! It starts later on this month and will be featuring tons of amazing stores, I’m super excited! eeka batz is still working on the event, so if you’d like to be a part of it (designers, bloggers & dj’s!) please drop her a note card with relevant infos! I’d also like to mention that things might be a bit quiet here for the next week or so, I’m in the process of taking an exam for a job and it is pretty time consuming. I reaaally hope I pass! On to the outfit…. This adorable top is from Yulicie and is available now at Kustom9! The pants are from Lacuna Inc and come in a huge array of loverly colors! The hair is from Little Bones.. Nova’s hair colors are <3333! The skin & lipstick I am wearing are from Modish, and will be available Oct 17-31 at the Bitacora Travel Fair! The accessories are all from The Candy Fair, which closes on the 18th, so don't forget to pick up those last few items you need before then! 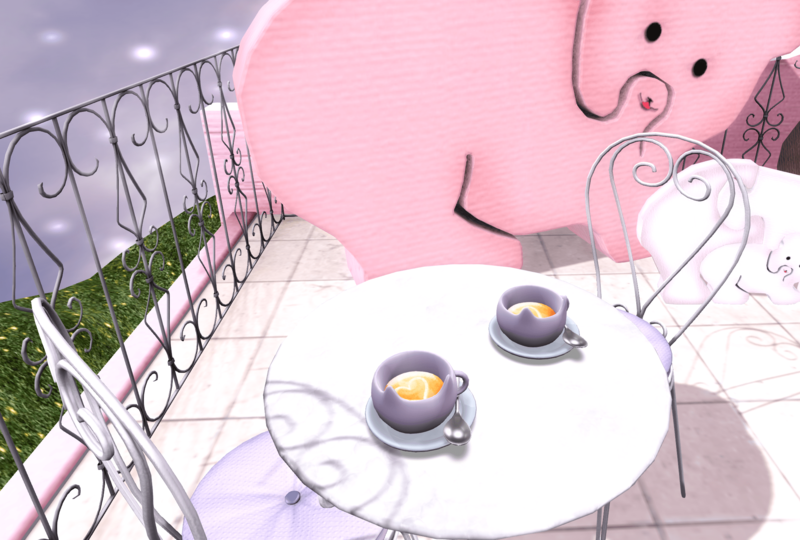 poses by elephante poses *new* at the candy fair.